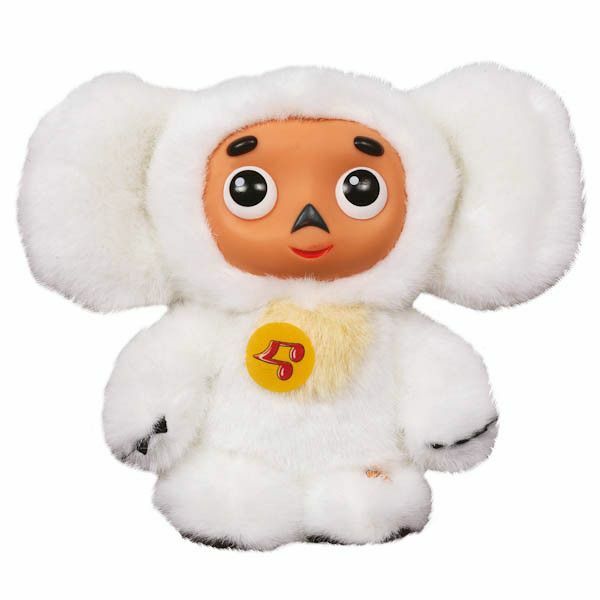 Russian Cheburashka stuffed plush Russian-speaking toy with white fur. 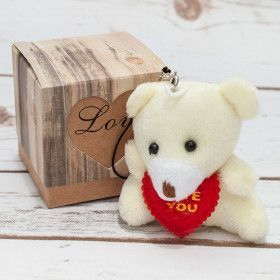 Cheburashka is the most popular and prominent character from the series of Russian books by author Eduard Uspensky, as well as a popular TV cartoon series. 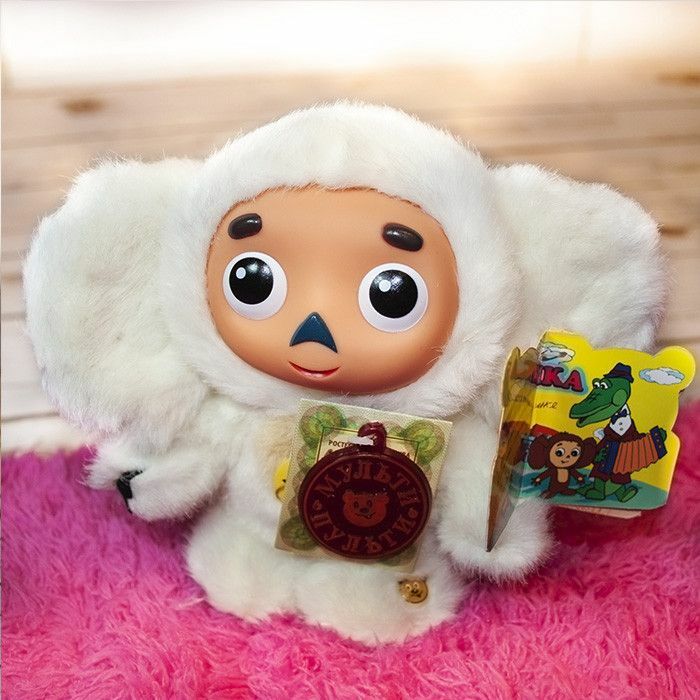 Cheburashka is a small animal with big ears, but is unknown to science. Cheburashka is very friendly and kind. Originally, Russian Cheburashka toys had brown fur, but this popular toy is also available with white fur. Cheburashka soft plush Russian-speaking toy 17cm (6.7"). Speaks nine phrases and sings two songs. I bought this Cheburashka for my kids. It instantly became my daughters favorite.It keeps her company every night. Also, the staff was amazingly helpful, professional and friendly. Spasibo! Правда, очень милый Чебурашка отличного качества. Стирала в машинке, звук в норме. Возможно, модуль чем-то защищен. Покупали такого же в подарок, знаю, что ребята меняли батарейки (надо аккуратно распороть животик) и Чебурашка работает как новенький! Магазину спасибо за отличный сервис и очень быструю доставку.